Like the exotic fruit that it’s nicknamed after, the city known as the Big Durian has a bad rep, but abandon the car, beat the crazy traffic and you’ll discover this peach of a thriving boho hub. Parisian furniture designer Jean-Louis Saglio could be called Benda’s pioneer, having set up his shop L’Atelier Saglio 14 years ago. His Art Deco-style, solid-wood furniture is so gorgeous you’ll be totting up the cost of shipping a cabinet or two home. 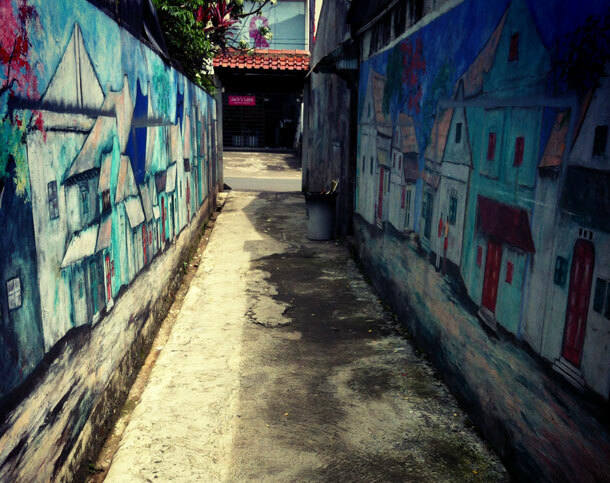 Down a narrow alley (or warung) painted in murals is Glory Frame & Gallery where Simon Kristiandi showcases his evocative black-and-white rural Javanese portraits, along with naive paintings and his bestselling collage print of Jakarta snapshots. Dia.lo.gue is a cafe, gallery and shop at the junction of Jalan Benda and Jalan Kemang Seletan selling handmade ceramics, jewellery and pretty stationery. Most covetable are the Benoa chair, the wooden Magno radio and Numo resin rings in primary colours, which are a steal at about £5. Decor store Kayu Ayu is the place for elegant wooden screens and reproduction Oriental furniture. 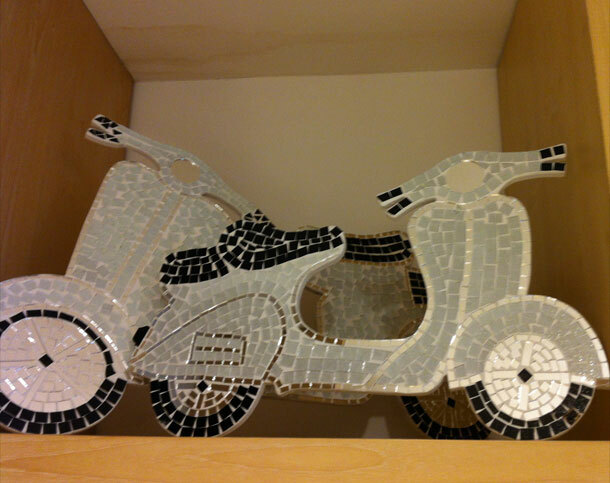 Slip a bar of ‘I HEART JKT’ soap into your bag of souvenirs or lug home a mirrored mosaic of a Vespa. 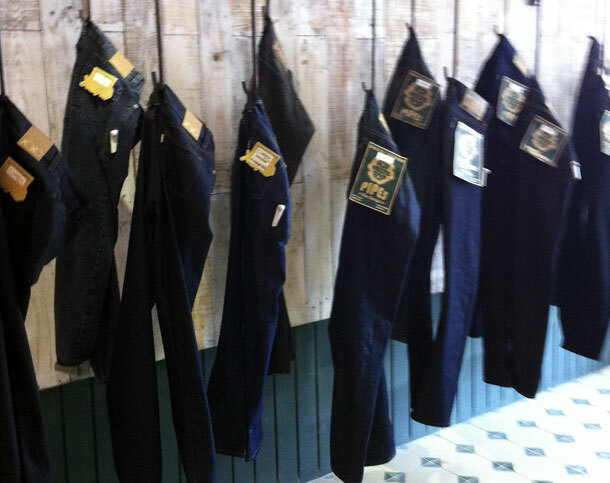 Pick up a pair of hard-wearing, heavy-stitched, button-fly jeans from the local outpost of Bandung-based brand Pot Meets Pop, which does a premium line made from Japanese salvage denim. The popular Afghani Skinny Cut costs about £25. Shop assistant Pando does alterations on site in minutes. 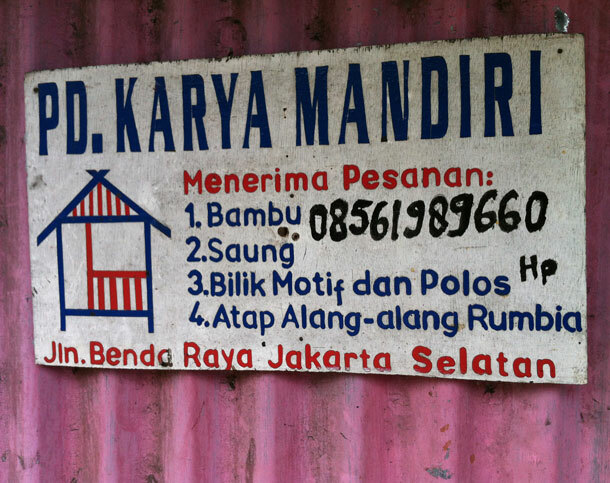 PD Karya Mandiri is a man who can do anything with a machete and a stick of bamboo. Traditional wares take on new uses: fish-dryers become bowls; ladders are turned into clothes horses; fish traps double as lampshades. 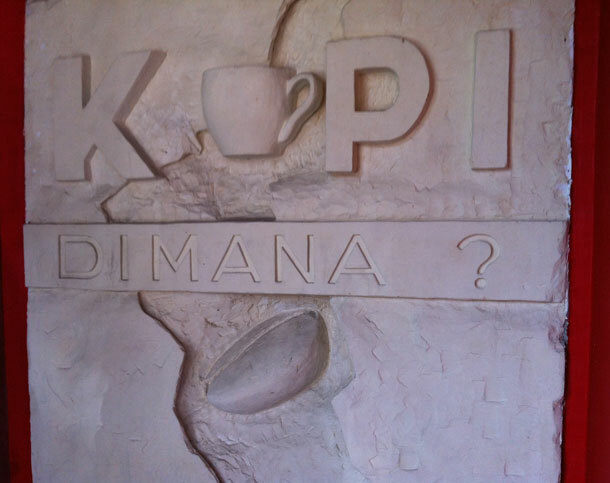 The Kopi Dimana coffee shop does a great cup of Java. Choose between single-origin brews such as Papua Lani Jaya and Sumatra Mandheling, then take home a scoop in one of the delightful limited-edition bags with illustrations by local artists. 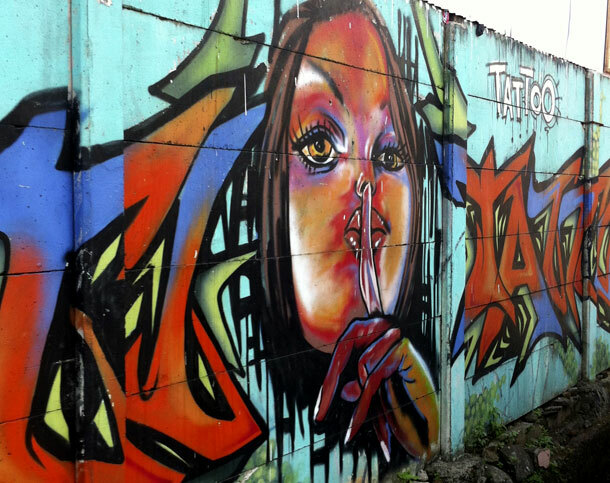 Hatten Wines has been growing grapes on Bali’s north coast for more than 20 years. Varieties including Alphonse-Lavallee and Begia are used in its red, white, rose and sparkling wines, which you can try at The Cellardoor Jakarta. 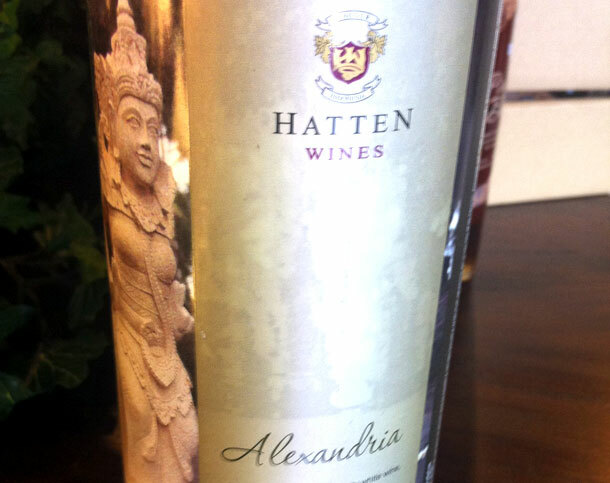 A bottle of medium-sweet Alexandria goes well with spicy food. Kick back in the garden at Entra a Mi Casa, where a two-hour mani-pedi costs about £15. The massages and facials are also great value. Cute care Kedai has overstuffed sofas, lampshades made from colanders and a menu of lovely local dishes such as nasi rawon (rice in beef soup) and nasi gudeg komplit (jackfruit stew with chicken). Part-American-style diner, 2madison, is owned by two sisters. They know how to flip a tasty burger, and they’re also supporting design students by selling their chairs and teak bowls in a showroom upstairs. Everyone orders the roast chicken at Cafe Gitane, a French brasserie with red banquettes and menus written on mirrored walls and chalkboards. Once a month there’s a proper party -- they’re still talking about the scandals of the last disco-themed night. For the original fast food, hail a gerobak. You’ll see these stainless-steel trolleys trundling along the street laden with fried tofu, noodle soup and mussels. Catch the seller’s attention by calling ‘mang’ (uncle) and order a portion with oyster sauce. Alternatively, if you are maxed out nasi goreng, make a beeline for Bagel Bagel and its fresh, crusty, New York-style bagels. 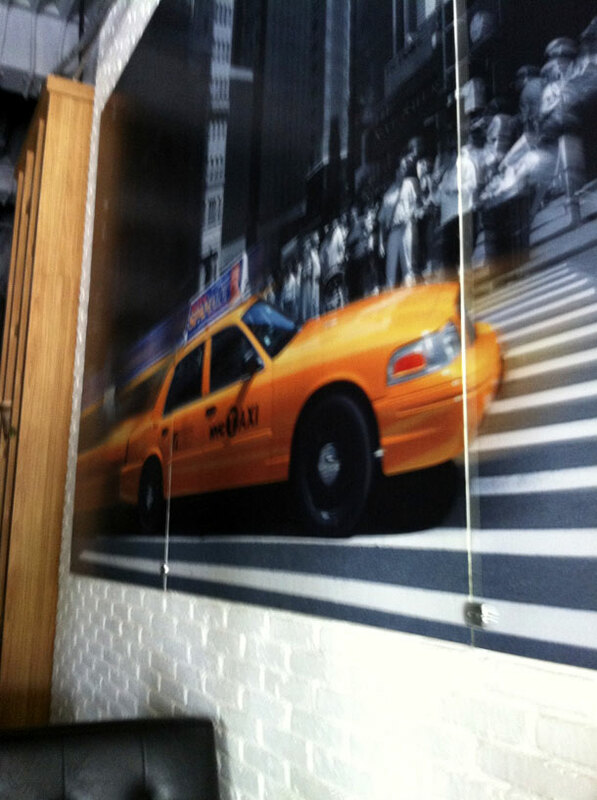 including classics such as lox (smoked salmon) and cream cheese, and Philly cheese steak. 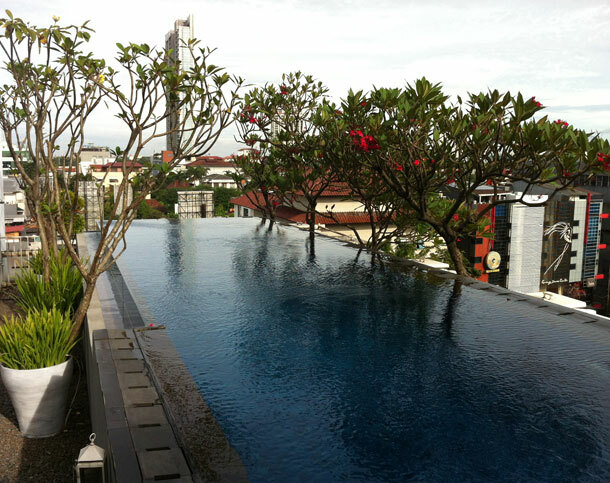 The 12-suite Kemang Icon by Alila hotel is the coolest place to bed down near Jalan Benda. Rooftop restaurant The Edge has chill-out cabanas beside an infinity pool bordered by frangipani trees, where DJs ramp it up at weekends. Thursday afternoon jazz jam sessions kick off at 3pm in Largo Bistrot, a French restaurant in an airy ex-industrial space with antique signage, a baby grand piano and first-floor terrace. It draws a boho media/arts crowd that’s smarter than that at other local watering-holes. The steaks, burgers and wines are top-notch. Martha Grashiana works at production company Seven Sunday Films, has lived in Jakarta for 30 years. Michelle Jana Chan travelled with The Ultimate Travel Company (www.theultimatetravelcompany.co.uk).